Protect your propane tank from harsh weather, dirt, and debris. This ventilated cover features the patented Innerflow<sup></sup> System which allows moist air to escape, and safeguards against propane build-up if the tank leaks. This durable weatherproof cover easily fits over your tank and can be left in place while grilling. The cover is UV protected and will remain mildew and fungus free. 20 Ib. Ventilated Tank Cover Protect your propane tank from harsh weather, dirt, and debris. This ventilated cover features the patented Innerflow<sup></sup> System which allows moist air to escape, and safeguards against propane build-up if the tank leaks. This durable weatherproof cover easily fits over your tank and can be left in place while grilling. The cover is UV protected and will remain mildew and fungus free. 20 Ib. Ventilated Tank Cover is rated 5.0 out of 5 by 1. Rated 5 out of 5 by Mike from This is a perfect tank cover. 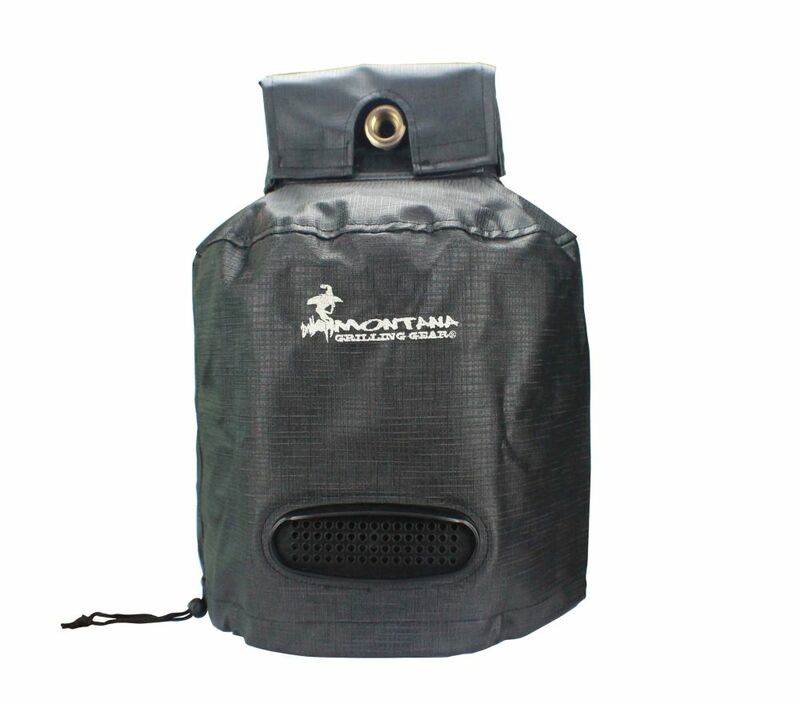 The ventilated propane tank cover fits very well, good quality material and it has all the features you could want. We would buy it again.